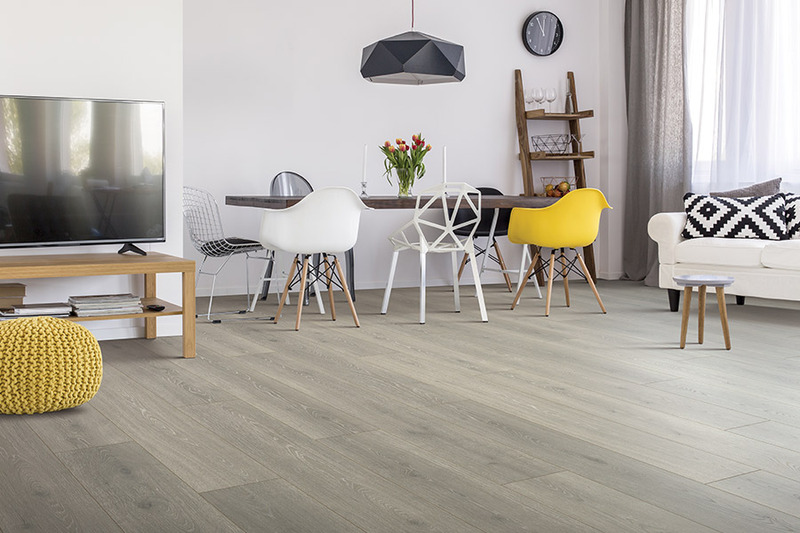 Laminate flooring offers much for the discerning homeowner. It is most often sought after because of its ability to realistically mimic solid hardwood flooring. 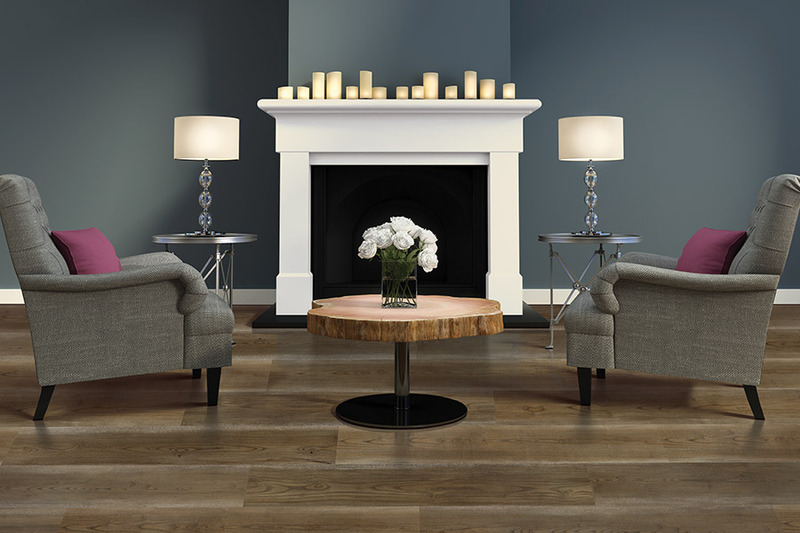 In fact, it was the very first wood-look flooring to enter the American flooring market. 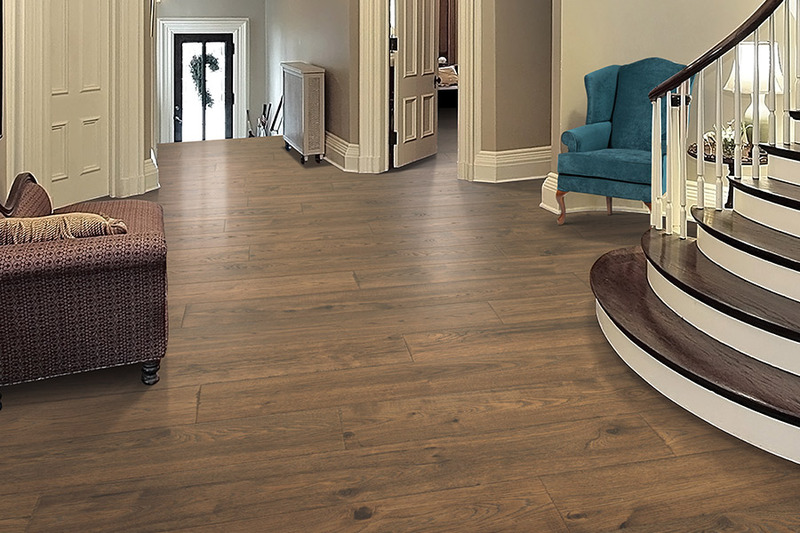 Since that time, improvements have only made this flooring better than ever, offering more durability, better stability, and a wood look that is even more realistic now than ever before. The best way to get a true picture of this flooring is to see it in person,for yourself, and we can help with that. At Twin Oaks Carpet, we have more than 40 years of experience in the flooring industry to offer the areas of Plainfield, Lemont, Bolingbrook, Joliet, and Naperville. From our showroom in Romeoville, IL, we offer hundreds of choices in floor coverings, fast installation service, and great deals backed with a Best Price Guarantee. When you visit us, you won’t gimmicks or high pressure sales people. 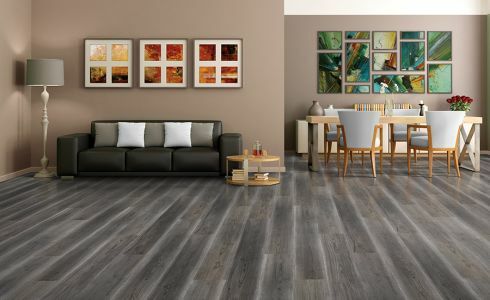 What you’ll find are great deals offered to you by flooring specialists who want to match you with your dream flooring. Many homeowners are drawn to laminate specifically for the benefit of an affordable hardwood flooring alternative. The look speaks for itself and is almost as diverse as hardwood itself. You’ll get to choose from a variety of species types, stain colors, and finishes that will allow you to create a truly unique flooring experience. 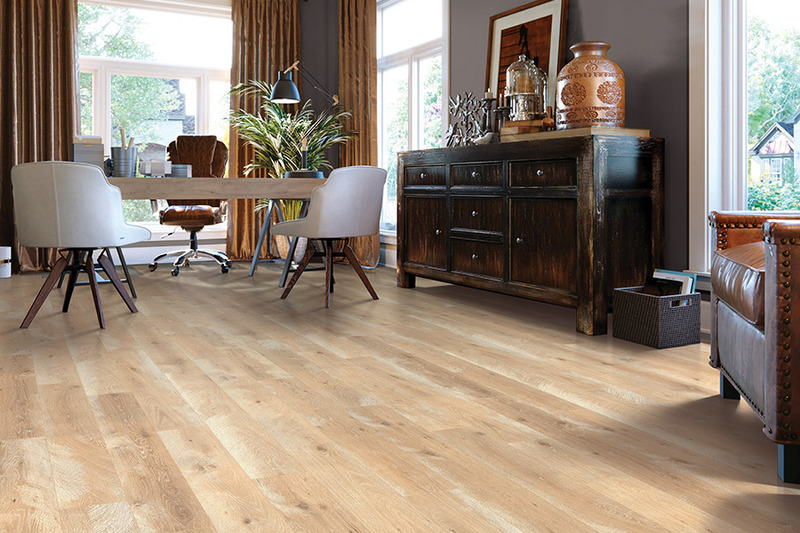 The construction of laminate flooring combines a stable backing material, to which an image layer is attached. The image layer creates the wood look of the material and is so realistic that even textures and grain patterns are represented authentically. This is topped with a protective wear layer that helps prevent damage caused by everyday wear and tear such as stains, scratches, and other dings common to all flooring types. Most laminate features a click into place installation system that allows for a quick and easy installation process. 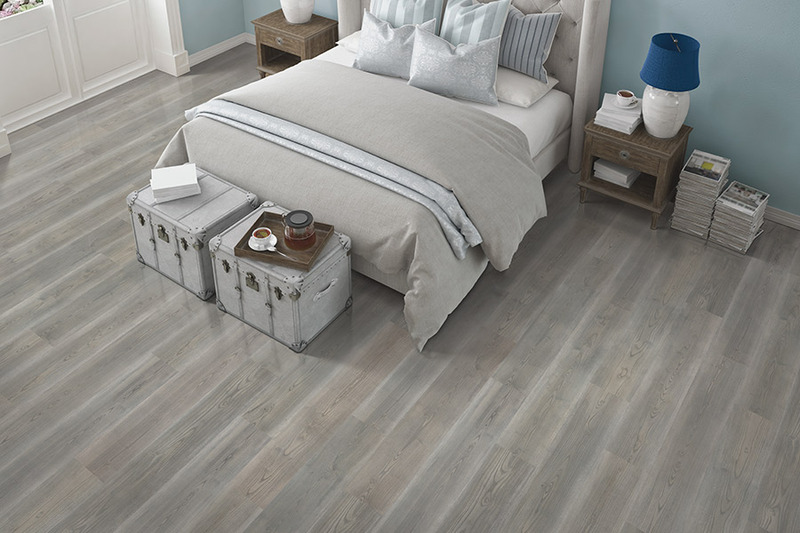 There are no acclimation periods, you won’t have to relocate while the installation is going on, and you can walk on your floors as soon as your installers are finished. 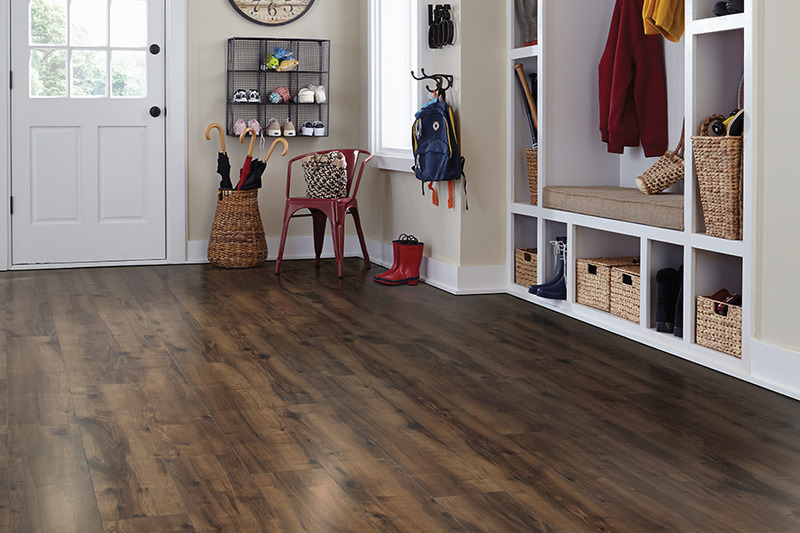 Laminate also makes a water-resistant option available, which can greatly increase the number of rooms in which it can be installed. Since it resists spills, moisture, and humidity longer, it’s much less likely to become damaged in spaces where these can happen.